Communal trauma has its own rhythms, according to trauma specialist Deb Del Vecchio-Scully. Following the shooting at Marjory Stoneman Douglas High School, many mental health professionals around the Parkland area sought training in trauma treatment. Del Vecchio-Scully, a Connecticut-based therapist who's worked with survivors of the 9/11 terrorist attacks and was embedded in Sandy Hook Elementary School after the shootings there, gave this workshop on communal trauma, or a trauma shared by a group of people or a community. It was sponsored by the Florida Counseling Association. During her talk, Del Vecchio-Scully gave an overview of the physiology of stress and trauma—how it disrupts sleep and memory, what it does to the central nervous system, the cascade of reactions through a person's body. She explained the newest scientific literature behind different kinds of trauma therapies. And she shared practical exercises, like the shaking, that can compliment other evidence-based treatments. 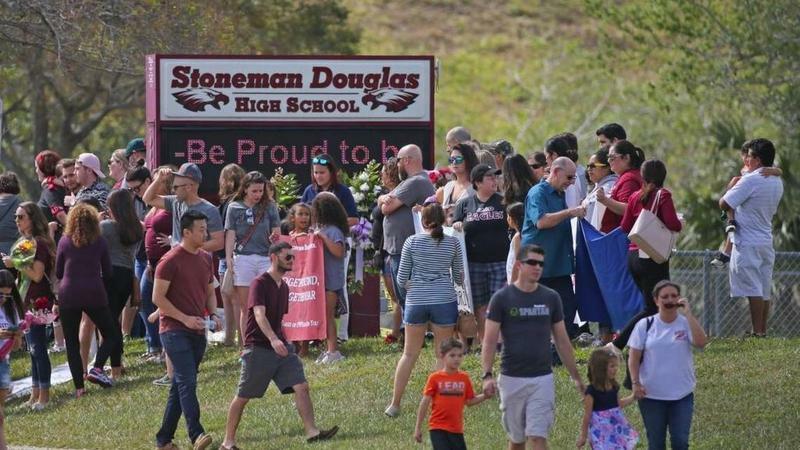 "Deb is such a unique therapist," said Luna Medina-Wolf, a trauma therapist in Boca Raton and part of the team that helped organize the event. "I believe in mind, body, spirit—and the fact that she treats all of that, that's what makes healing better." A few minutes after the rag doll exercise, Del Vecchio-Scully described her own experience in Newtown. She snapped her fingers and shook her hands as she laid out the timeline of the shooting, the arrival of police and media, the traffic jam that forced the surviving children off the street and into the woods as they evacuated to a firehouse. "I'm not telling you this because it's interesting," she said. "It's important to know what happened because your clients are going to come in and tell you things. It needs to make sense in your mind so that you can create a structure of safety for them." 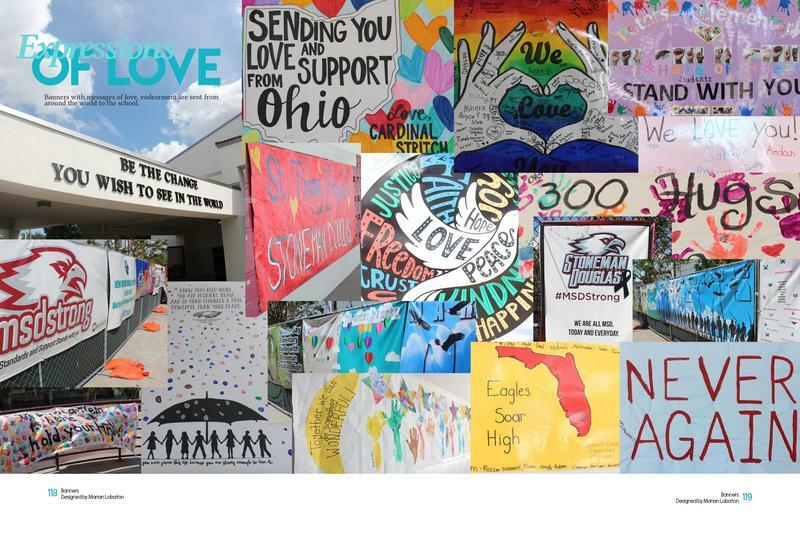 Del Vecchio-Scully advised the therapists in the room to prepare for the eventual fatigue of being surrounded by news about the shooting, the pain of confronting conspiracy theorists who say it was all faked, the triggering effects of a barrage of memorials and MSD Strong t-shirts. And she cautioned the group about the burden of what she and her Newtown colleagues call "SUVs"—"spontaneous, uninvited visitors and volunteers." "You really need to know: 'Do I have the appropriate training to help?' Because if you haven't worked in trauma, the answer is probably 'no,'" she said, adding that it can be a hard thing to hear for someone who wants to help, but the community around MSD needs experienced providers right now. It was a message that resonated with therapist Michelle Fyfe, who was trained in EMDR, an advanced form of trauma therapy, but hasn't used it much in her practice in Royal Palm Beach. 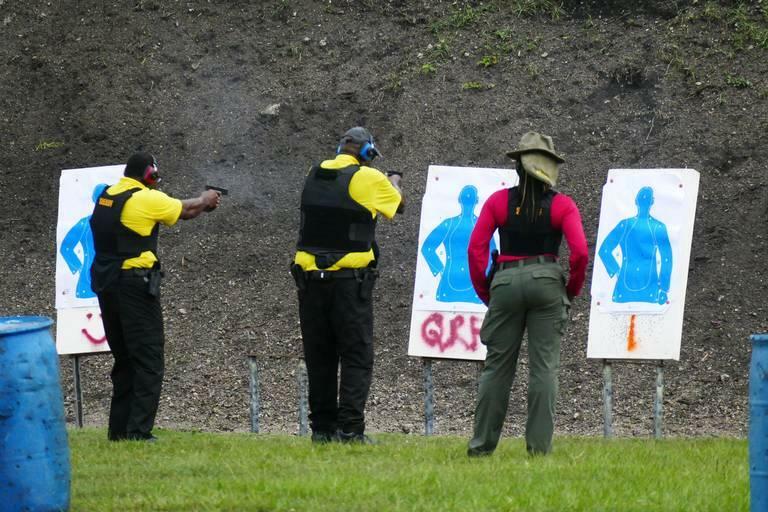 "Before I even start practicing and utilizing it on clients I want to do a refresher course." Del Vecchio-Scully said part of what she's learned about communal trauma is that it has its own rhythm, and that therapists and the community around MSD can anticipate periods when people will start to re-experience trauma; big milestones and anniversaries can be hard, she said. "I would imagine that this will start to ramp up after winter break is over and everybody's back to school in January and incrementally week by week as we move towards mid February. The intensity will increase." Del Vecchio-Scully had advice for the people seeking trauma treatment, too: If you don't click with the first therapy or therapist you try, she said, don't give up. "The commitment to your own therapy is vital," she said. 1. Are you a trauma therapist? 2. What type of trauma treatments are you trained in? 3. Are you certified in the trauma treatment? If not, how long have you been using it? 5. What insurance do you accept?